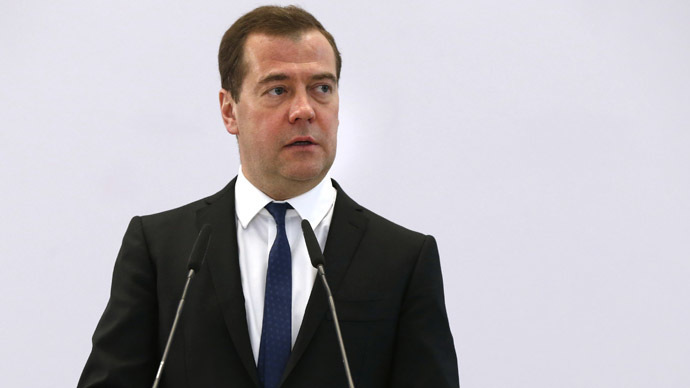 Russian Prime Minister Dmitry Medvedev has promised to provide government protection and ‘tax secrecy’ for those who decide to legalize their income and property as part of the law on capital amnesty. "Our main task is to make the procedure of legalization absolutely transparent and safe, so that those who choose to disclose their sources of income and property is safe from possible prosecution,” said Prime Minister Dmitry Medvedev at the government meeting on Thursday, adding that the move will have some exceptions. The capital amnesty will not apply to people convicted or involved in legal proceedings at the time it comes into force, Russian Finance Minister Anton Siluanov explained to the same meeting, adding that Russia may begin consultations with Financial Action Task Force (FATF) over the law on capital amnesty already next week. READ MORE: Putin welcomes billionaires back to Russia – but will they come? To legalize previously hidden property, one will need to submit a declaration to the tax authority. Any kind of property can be declared, including movable and immovable property, money, securities and property rights "that are currently in the nominal possession of the owner, as well as controlled foreign companies". Declarations can be submitted up to December 31, 2015. The government will discuss further details on March 26. Medvedev said the law on capital amnesty will create a legal framework for integrating the property that previously was in a grey area into the economy and re-register it to its real owners. It’s estimated about $2 trillion has fled the Russian economy in recent years. In early December President Putin announced an amnesty on all funds returning to Russia, a month after signing an anti-offshore bill to impede the outflow of capital. The amnesty allows owners to register their belongings as property if they were passed to nominees, said Finance Minister Anton Siluanov at the meeting. "In this regard we propose to introduce the notion of actual and nominal property owners, to establish a mechanism for transferring the rights of ownership from the nominee to the actual owner, as well as to provide an opportunity for the actual owner to declare such property," he said.